GLMA Heads to the Capitol to Oppose the AHCA! 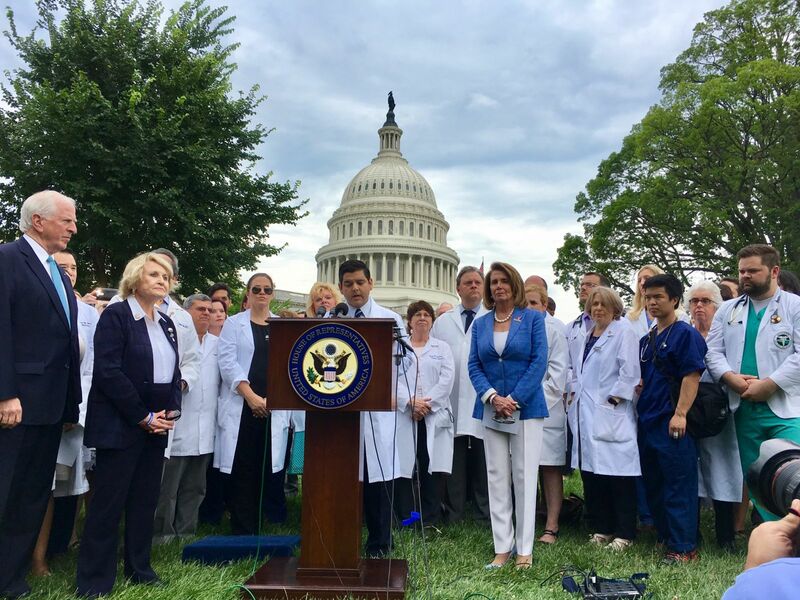 On June 22, 2017, GLMA President Jesse Joad, MD, MS, (second from the right) joined other healthcare professionals in a press conference at the Capitol with Democratic Leader Nancy Pelosi, Congressman Steny Hoyer, and other members of Congress to oppose the House-passed AHCA, and the newly-revealed Senate ACA repeal bill. If passed, this bill will cut healthcare for 14 million Americans by 2018, including over 1 million LGBT individuals. This bill also poses a profound threat to Medicaid, proposing deep, nearly irreversible cuts to the program, and threatens the health and well-being of LGBT people. In addition, GLMA visited the offices of Senate Majority Leader Mitch McConnell and Minority Leader Chuck Schumer to hand-deliver nearly 650 petition signatures opposing the AHCA, and a GLMA letter opposing the bill. These signatures were collected during Capital Pride just two weeks ago, and joined the voice of GLMA's health professional members in opposing the repeal of the Affordable Care Act.